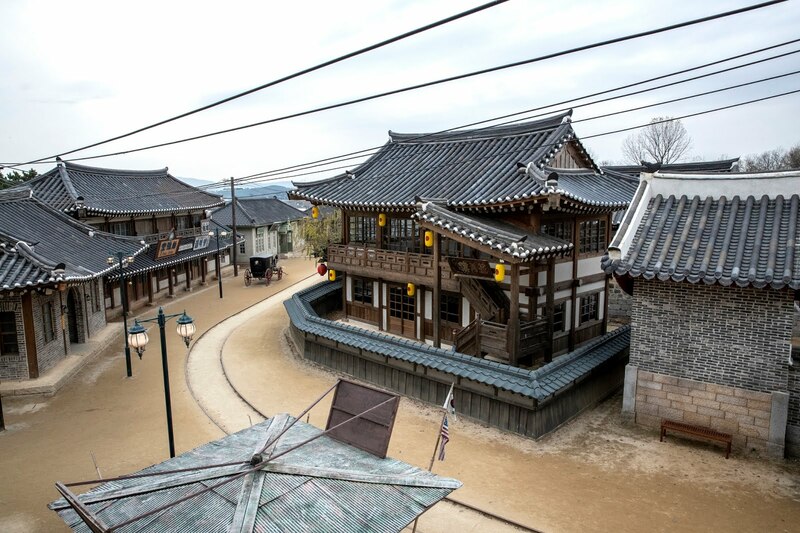 Nonsan Sunshine Land, the main filming location of the popular drama “Mr. Sunshine,” officially opened on November 1. The background for the drama series, Mr. Sunshine, is based on the turmoils of early 20th century Hanseong (former name of Seoul). The main characters are Yu-jin, or Eugene (starring Lee Byung Hun), who was born as a servant but fled to America as a boy and became a US Navy officer, and Ae-sin (starring Kim Tae Ri), the youngest daughter of a nobleman, who volunteered to serve in a military. Eugene’s childhood was especially brutal. Born as the son of a servant living in Joseon Dynasty, no matter how hard he tried, he could not live in his own will. 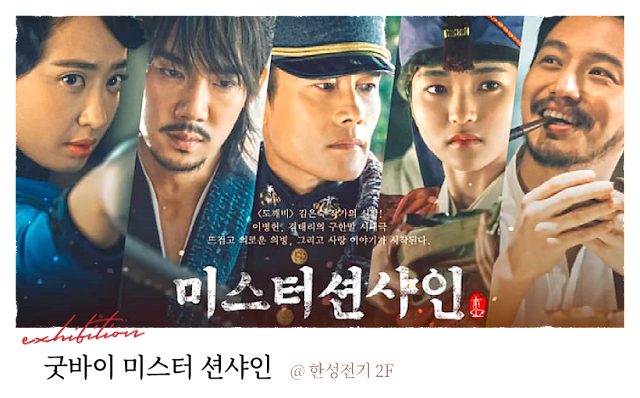 At a young age, his parents were murdered by the family they served and he was on the run from chuno (slave hunters during the Joseon Dynasty). He then met a foreign man with blue eyes and followed him to America. The hardship did not stop as he had to face racism and extreme poverty. However, he did not give up and eventually became an officer in the US Navy. 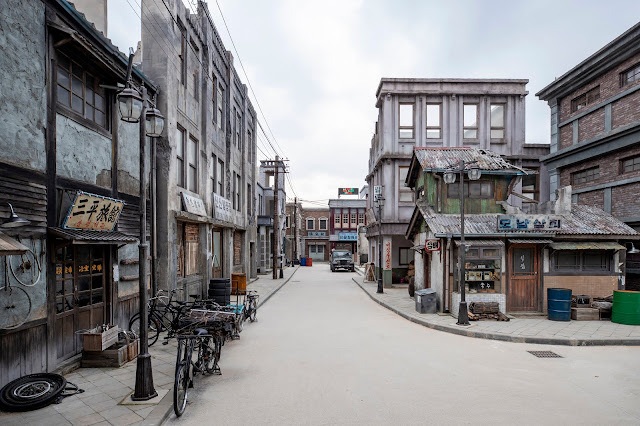 Nonsan Sunshine Land is the main filming location for this drama and consists of 1950s Open Film Set, Survival Game Zone, Military Experience Center, and Sunshine Studio, where many of the scenes from “Mr. Sunshine” were filmed. 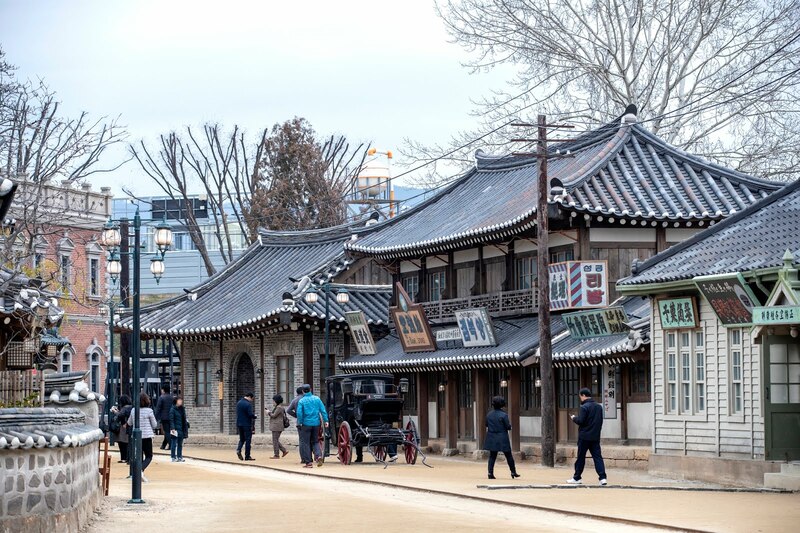 Streets and buildings of the country’s capital during the late Joseon period in the 1900s are skillfully reproduced, allowing visitors to feel like as if they have traveled back in time. Visitors can also enjoy a cup coffee at a cafe inside Glory Hotel, just like Eugene Choi from the drama. Directions: Take a train (KTX, ITX, Mugunghwa, Nuriro) from Yongsan Station and get off at Nonsan Station. From Nonsan Station Bus Stop, take Bus No. 216 and get off at Hwangha 4(sa)-ri Bus Stop. Walk for approx. 10 min.